Envirotech has extensive experience of providing practical advice, surveys and mitigation proposal for many different types of legally protected species in the UK. We are committed to working closely with our clients to ensure neither the development project or wildlife is negatively impacted. 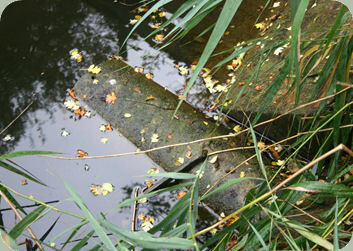 All our work is carried out by suitably licensed, experienced and professionally qualified ecologists and surveyors. We work throughout the UK with the majority of our bat surveys and other protected species surveys being completed in Cumbria, Lancashire, Yorkshire, Northumberland, Cheshire and Greater Manchester. 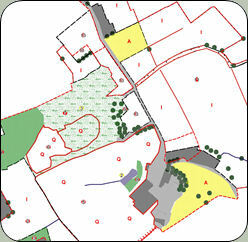 Presence and absence surveys, which are tailored to the requirements of the each site surveyed. Interpreting protected species legislation and the planning system in connection with development. European Protected Species Licences to exclude protected species, translocate or provide mitigation on existing sites. Advice on the development of different species specific habitats, design and installation of summer and winter (hibernacula) bat roosts and other habitat creation such as artificial badger setts and otter holts. It is now common place for a bat survey to be submitted with a planning application at sites where there is a perceived risk of bats and Local Authorities will make this judgment in line with Planning Policy. In addition, general building works, Listed building consents and work to trees many trigger a client to ask for our help in surveying for bats if they believe there is potential for a bat roost. This normally involves a dusk and/or dawn survey and an internal inspection of roof voids to establish if bats are present followed by a full report showing our findings. During the winter months when bats are hibernating we only conduct day time surveys. 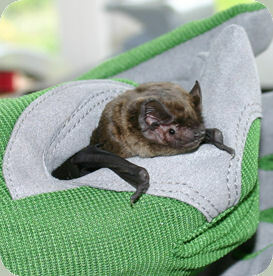 We are also Natural England Voluntary Bat Surveyors meaning we are happy to provide our consultancy advice free of change for residential properties with known bat roosts in the South Lakeland area of Cumbria. 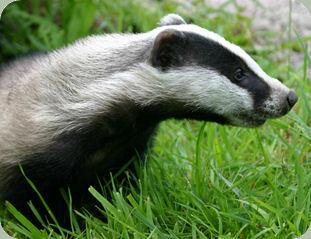 The European Badger is one of the Britain’s best know mammals. Badger numbers across the UK are estimated to have doubled in the last 10 years and as a result they are increasingly becoming an issue for landowners and developers. Badgers are nocturnal and their acute sense of smell and hearing means they may not emerge at dusk if humans are near their sett. We therefore survey badgers by recording signs such as setts, hair, footprints, paths, feeding areas and latrines (dung pits). 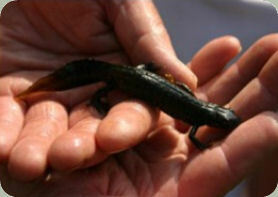 Great crested newts will travel large distances between ponds and terrestrial refuges. It is recommended that anywhere within 500 metres of a pond should be treated as potential Great Crested Newt habitat and should be surveyed and evaluated. Methods of surveying include night time torch searching and bottle trapping during the breeding season (April -June). During the breading season all birds are legally protected while they are nesting. Buildings in rural areas particularly redundant agricultural barns often provide roosting and breeding sites for birds such as Barn Owls, House Martins, Swallows and Swifts. We can provide surveys to establish the presence, previous occupation or likelihood of occupation of bird species prior to any construction work. 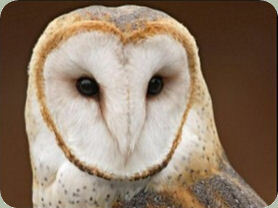 Many Local Authorities ask for Barn Owl surveys in conjunction with bat surveys for planning applications. The Water Vole is the largest British Vole, measuring about 20cm long (head and body) with a tail up to two thirds of this length. Water Voles tend to prefer slower flowing watercourses that do not show extreme fluctuations in water level and that do not dry out. Surveying methods concentrate on identifying field signs such as characteristic burrow entrances, remains at feeding stations, latrines, foods, runs through vegetation and footprints. 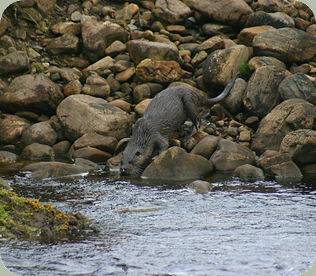 The European Otter is extremely prone to disturbance and they are therefore largely nocturnal. This means that Otter surveys are carried out by searching for signs of their presence rather than for the otters themselves. Otter footprints, spraints (droppings), holts, bedding, haul-outs, rolling sites, and scent posts are all field signs we use to identify the presence of otters. The White-clawed Crayfish were once widespread in English rivers and lakes with calcareous (‘hard’) water. Over the past 30 years populations have been declining due to the spread of the non-native Signal Crayfish and a disease that they carry. 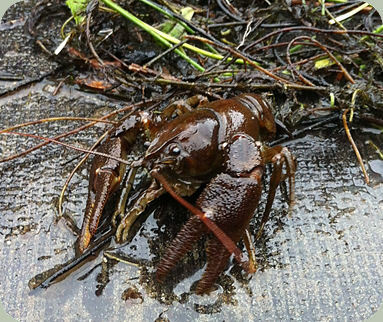 Surveying for White-clawed Crayfish must be conducted by a licensed surveyor and involves searching for the creatures in their river and lake habitats (under large river rocks and river/lake bank areas). There are six species of reptiles native to the UK: Adders, Grass Snakes, Smooth Snakes, Sand Lizards, Common Lizards and Slow Worms. 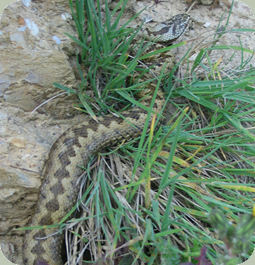 Dry heathlands are the best habitats for British reptiles, but semi-natural area with heath like conditions such as railway embankments, quarries, sea walls, road verges, golf course and almost any area with a sunny south facing slope and open vegetation may be suitable. Surveying for these creatures involves at least seven site visits during the spring and summer and establishing whether reptiles are present by creating temporary artificial home via tins and/or felt matts. Often clients will need a survey which considers all protected species and the wider environment and therefore we would recommend that they commission an Extended Phase 1 Survey or an Ecological Impact Assessment’s (EcIA) carried out as part of a formal Environmental Impact Assessment (EIA).